On his definition of "takers" and "makers"
Has Ryan remained consistent in talking about what he calls society's "takers" and "makers?" By Dave Umhoefer on Wednesday, February 13th, 2013 at 9:00 a.m.
Paul Ryan accepts the vice presidential nomination at the Republican National Convention in Tampa. In the 2012 presidential campaign and for years before that, Paul Ryan warned that a culture of European-style dependency on government programs had created as many "takers" as "makers" in American society -- or even a majority of "takers." So when President Barack Obama in his second inaugural address proclaimed that Social Security and Medicare strengthen America rather than make it a "nation of takers," many saw it as a swipe at Ryan. Ryan blasted Obama’s words as misleading. Republicans, he said, had not meant to include elderly recipients of Social Security and Medicare as "takers." Those folks, Ryan said, helped earn their retirement benefits through payroll taxes deducted from their paychecks specifically for those programs. Ryan critics in the media labeled it a reversal and an attempt to soften the GOP rhetoric on fiscal issues. But Ryan insisted the position didn’t change, though Obama’s words created another impression. Has Ryan’s position remained the same? Or has the 2012 Republican vice-presidential candidate altered it as the GOP repositions itself following a painful defeat in the presidential race? 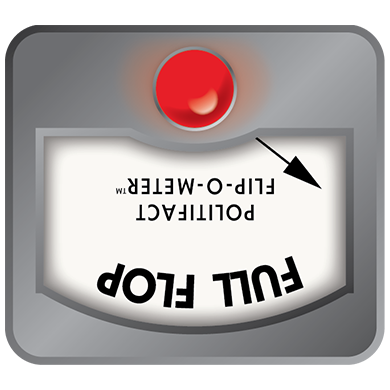 With Ryan a possible presidential candidate in 2016, we thought we’d roll out the Flip-O-Meter. Our standard note: The Flip-O-Meter does not measure whether a change is good politics or good policy, only whether a politician has been consistent. So, what about those "takers" and "makers"? We’re not sure who introduced the terms into the political debate, but Ryan helped popularize them, notably after a 2009 report by the business-backed Tax Foundation on the redistribution of federal tax dollars and spending. That report categorized Americans by whether they had received more in federal benefits than they had paid in various federal taxes, though it used the gentler terminology of "givers" and "receivers." The study, cited frequently by Ryan, calculated that 60 percent of families were net receivers and projected the figure would rise to 70 percent under Obama’s policies. It is important to note that Medicare and Social Security benefits were included in the Tax Foundation calculation. The report, and subsequent ones that borrow from it, make clear that "all federal spending" is covered. The studies also make clear that taxes people pay toward those programs were included on the other side of the ledger. Enter Ryan, who picked up the 2009 report’s conclusion in support of his argument that America was at or near a "moral tipping point" and already at a fiscal crossroads. His warnings were sometimes dire, and based explicitly on the Tax Foundation report. In a 2010 interview on a cable show hosted by U.S. Rep. Walter Jones (R-North Carolina), Ryan promoted his debt-reduction plan, including gradually reducing Social Security benefits for younger Americans and replacing Medicare’s guaranteed health benefits with vouchers to help buy private coverage. Those big entitlement programs "are exploding our debt" in a way that threatens the U.S. economy, Ryan said. He told Jones: "Right now, about 60 percent of the American people get more benefits in dollar value from the federal government than they pay back in taxes. So we’re going to a majority of takers vs. makers in America and that will be tough to come back from that." Ryan repeated the point with conservative political activist Star Parker in September 2011. "Right now according to the Tax Foundation, between 60 and 70 percent of Americans get more benefits from the federal government than they pay back in taxes," he said. "So we’re getting toward a society where we have a net majority of takers vs. makers, who, if that trend continues, then we’ll have a European situation on our hands. Campaigning in August 2012, just days before officially joining the presidential ticket with Mitt Romney, Ryan told a MacIver Institute interviewer: "We risk hitting a tipping point in our society where we have more takers than makers in society, where we will have turned our safety net into a hammock that lulls able bodied people into lives of dependency and complacency which drains them of their will and incentive to make the most of their lives." Obama, Ryan said, wrongly portrays Republicans as favoring a "dog eat dog" society. They actually want a safety net that provides "equality of opportunity, not equality of outcome," he said. Ryan avoided the "takers" and "makers" line -- and references to the Tax Foundation study -- after his August 2012 selection as the veep nominee. It was a hot topic, though, after a video surfaced of Romney’s remarks that 47 percent of Americans are content to be dependent on government, and they support Obama. In a campaign interview with the Journal Sentinel, Ryan blamed Obama and the bad economy for increasing dependency, and said people were not dependent by choice. Also during the 2012 campaign, Ryan pulled back from his 2005 description of Social Security as a socialist-based "welfare transfer" and "collectivist system" that was too costly and should be converted to a system of individual accounts that workers could invest as they wished. Let’s look now at Ryan’s post-election comments. Two days after Obama’s inaugural jab at those who call Social Security and Medicare recipients "takers," Ryan told a conservative talk show host that Obama had used a "twist of terms to try and shadowbox a straw man in order to win an argument by default." "No one is suggesting what we call our earned entitlements -- entitlements you pay for, like payroll taxes for Medicare and Social Security -- are putting you in a taker category," Ryan said on the Laura Ingraham radio show. "No one suggests that whatsoever." Ryan said his primary concern was welfare programs of the sort Washington reformed in the 1990s. That change was under President Bill Clinton, eliminating the Aid to Families with Dependent Children program in favor assistance tied to work. Ryan’s comments on the show were the first instance we could find of him separating Medicare and Social Security from what he calls the "takers." We asked Ryan’s office if there any instances before the election in which he made the distinction between the retirement programs and "takers." The office did not provide any. Instead, they pointed us to comments he made after the inaugural to Journal Sentinel reporters and editors, in which Ryan noted that Social Security helped him go to college after his father died. 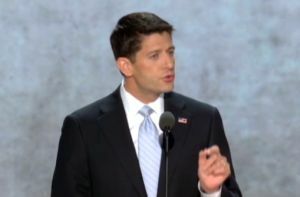 Ryan also said he didn’t think of his mother, who is on Medicare, as a taker. In those interviews, Ryan argued that he had only used the Tax Foundation figure of 60 to 70 percent as a device to highlight his larger point that it’s not too late yet to reverse course because not all takers see themselves that way. That’s accurate to a point. In some instances he made the larger point by citing surveys showing only 30 percent of Americans favor a welfare state. But in several interviews his point was simply the need to cut the budget to prevent the 60 percent "takers" figure from growing. But here we’re looking at how Ryan defined "takers" before the election and whether it changed after the election. We found no record of Ryan prior to the election spelling out, program by program, which federal benefits would cause him to view a recipient as a "taker." Rather, he took an all-in approach. Ryan labeled all recipients of federal benefits that way, elevating numbers buried in a think-tank report to the statistical centerpiece of his budget-cutting message over a period of years. Indeed, his warnings about dependency were made all the more dramatic because the numbers he cited were so large -- in part because they included the entitlement programs. Had Ryan taken out the big entitlement programs the number would have been lower, said Gerald Prante, the former Tax Foundation economist who devised the methodology used in the paper. In our view, by distancing himself from his prior, broad denunciation of "takers" in connection with all federal benefits, Ryan’s post-election approach has changed dramatically. That’s true both on the key point of how retirement benefits should be viewed, and in the style of his presentation. A major reversal earns him a Full Flop. Published: Wednesday, February 13th, 2013 at 9:00 a.m.